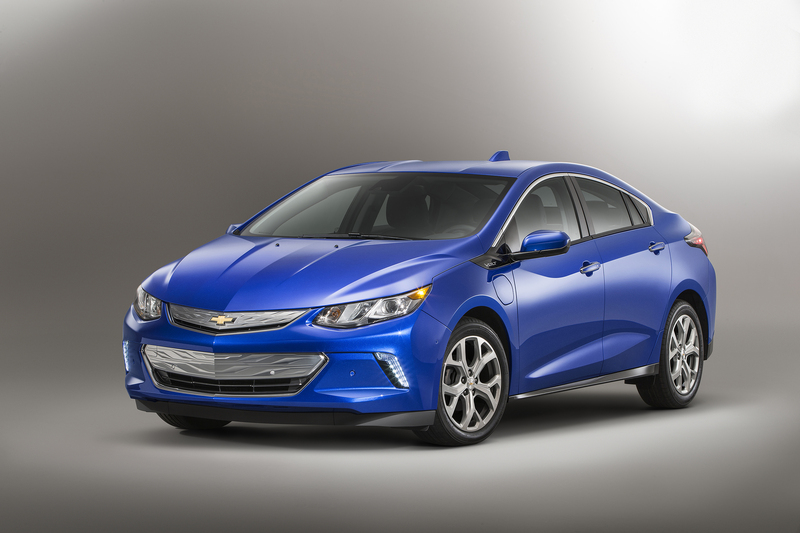 2016 Chevy Volt has 53 mile battery range says EPA, will that make a difference? The all-new 2016 Chevrolet Volt electric car with extended range, showcasing a sleeker, sportier design that offers 50 miles of EV range, greater efficiency and stronger acceleration. The results are in: the new 2016 Chevy Volt will get 53 miles of electric range on a charge of its new 18.4-kWh lithium-ion battery according to EPA numbers. That’s close to 40% more than the previous Volt’s 38 miles and a big psychological jump for buyers. The typical American commute is around 48 minutes so adding those extra miles gets a lot more people home without using gas. Chevrolet expects many next-generation Volt owners will use power solely from their batteries for more than 90 percent of trips. Today, Volt owners use battery power on 80 percent of their trips. The biggest turn off for me in the old Volt was the back seat which was split in half by the battery bar. The 2016 lowers the batteries so that a car seat or a passenger can straddle the bar which is worlds better for families. That, and when you went to gas – like for long trips – you’d only get around 35 miles/gallon with the range extender. The next-generation Volt’s new 1.5L range-extender, designed to use regular unleaded fuel, offers a combined EPA-estimated fuel efficiency of 42 MPG. That’s very respectable but not yet on the same level as a Prius which typically sees 50+ mpg. I think the new Volt is hitting new spec points that will make sense for a lot more buyers. It doesn’t have any range anxiety problems and it is getting pretty close to the range of the Nissan Leaf and BMW i3 (which also has a very small REX engine). Also, the faster acceleration, better back seat and sportier looks will draw new buyers along with the proliferation of EV charging points around the country.